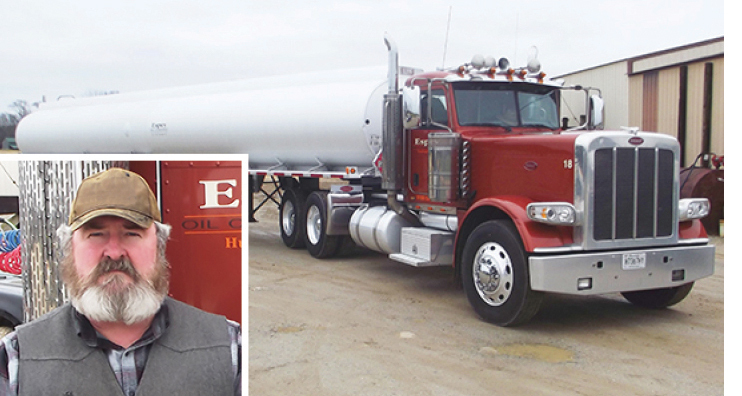 Billy Espey started out driving for an oil company – when it came up for sale in 1970, he purchased it. 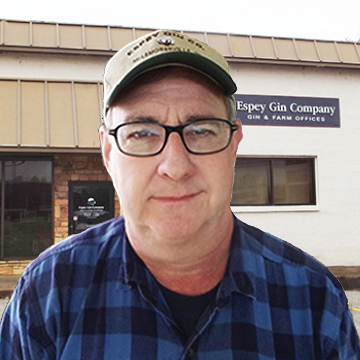 He bought a gin operation in McLemoresville in 1974, and founded Espey Gin Company that same year. Espey Oil Company was established in 1978. Billy’s son, Allen Espey, now owner of the two family businesses, was born and raised in Huntingdon, where he still lives and where Espey Oil Company is headquartered. The gin and farm business is based in McLemoresville, adjacent to the company’s gin, which is located on a site where a gin has operated since 1898. In addition to the family firm, Espey also has partial interest in other gin companies. Each company now has six full-time employees, and during the busiest seasons the number can swell to 30 people, Espey reports. 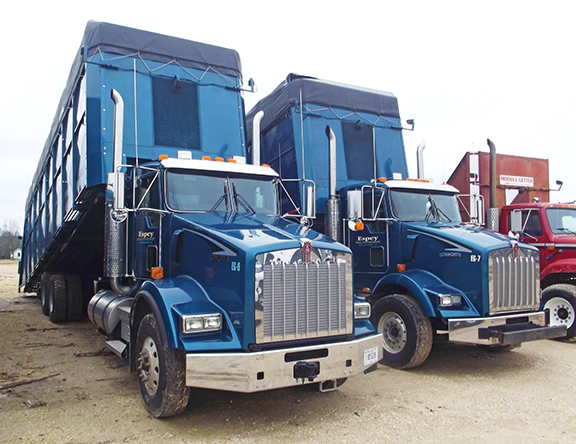 The company fleet includes two fuel hauler trucks, four commodity hauler trucks, six cotton module trucks, and two single-axle fuel tank trucks. Among his fuel and commodity haulers are three Peterbilt daycab glider kit trucks and three Kenworth glider kit trucks with cotton gin hauler modules; these were all purchased from Thompson Truck Centers, with the three Kenworth trucks his most recent Thompson purchases. Espey has another Peterbilt 389 fuel hauler currently on order from Thompson and has plans to order yet another one in the near future. Glider Kit trucks offered by Thompson Truck Centers let customers purchase a truck tailored to their specific needs while eliminating the difficulties of finding all of the parts, getting quotes, and building an engine. The buyer chooses the preferred chassis model, Cat® engine, transmission, and accessories. Then Thompson assembles the truck in conjunction with Fitzgerald Gliders. Espey says that his staff performs their basic maintenance on their gliders, but he utilizes Thompson for major maintenance and repair work. 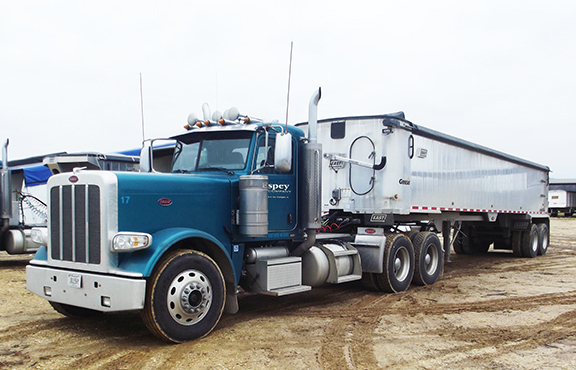 In the primary season for cotton production and harvesting – September through December – Espey reports that his cotton hauler trucks run every day; the fuel haulers are on the road four to five days every week.